Norwegian Cruises and the Peter Max Studio, have finally revealed the future hull of the Breakaway cruise liner. After the Continental Airways 2000 livery artwork, this perhaps will be one of the largest designs produced by the Studio.The Max Collector extends it's best compliments to all the parties involved. 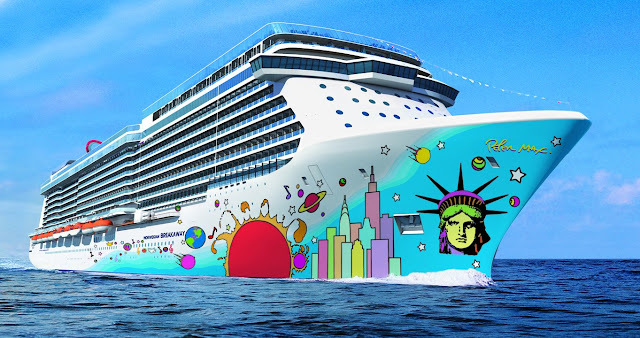 MIAMI, Fla. (Aug. 4, 2012) — Norwegian Cruise Line today revealed Norwegian Breakaway’s signature hull artwork designed by pop icon and America’s most popular living artist, Peter Max. This is the first time Norwegian has commissioned a well-known artist to paint the hull artwork on one of its ships. Launching in April 2013, Norwegian Breakaway will be the largest ship to homeport in New York City year-round. Max’s signature artwork will cover approximately 40,000 square feet of Norwegian Breakaway’s hull. To learn more, visit www.breakaway.ncl.com. Norwegian Breakaway, Norwegian Cruise Line’s newest 4,000-passenger Freestyle Cruising ship goes on sale on Monday, October 17, 2011. (For NCL past guests, reservations are now being accepted as of today). Norwegian Breakaway will sail a seven-day Transatlantic cruise from Southampton , England to New York City on April 30, 2013. Rates on the Transatlantic are from $749 per person, double occupancy. Once in New York , the ship will sail a series of 22 seven-day cruises to Bermuda beginning May 12 through October 6, 2013. Departing on Sundays, the ship will spend three full days on the beautiful island of Bermuda , along with three relaxing days at sea. Rates on the inaugural Bermuda sailings are from $1199 per person, double occupancy. Currently under construction at Meyer Werft in Germany , Norwegian Breakaway will be 144,017 gross tons and is scheduled for delivery in April 2013. Norwegian Breakaway will make New York City her year-round home port, the largest ship ever to home port in the City. 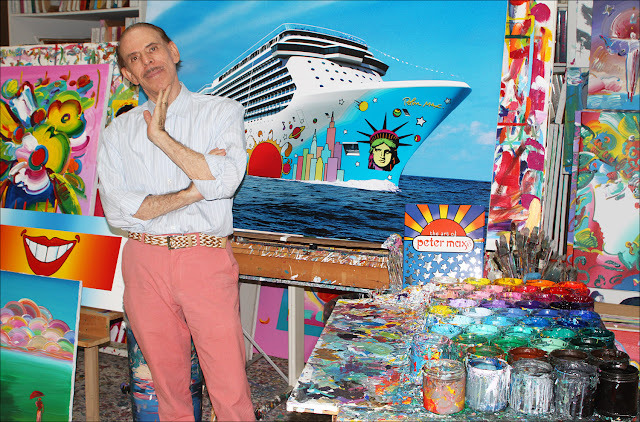 Legendary iconic pop artist Peter Max has been commissioned to paint the ship’s signature hull artwork.